Take All The Workout Classes You Can Handle In One Month For $200! If you're the type of exerciser that needs the extra structure and encouragement that comes from taking classes, you know how beneficial they can be. You also know that the cost of these classes can add up, fast. On Your Mark Training & Coaching is ready to make a deal with you. This February, sign up for the 30 Days of Fitness package, and pay $200 for unlimited classes all month long. Seriously! The package also includes an exercise prescription and three personal training consultations. If you need more of an excuse to get your money's worth, we really don't know what will motivate you. 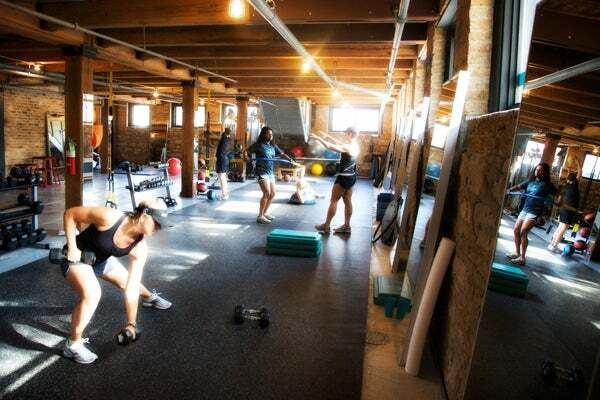 On Your Mark Training & Coaching, 1101 West Monroe (at South Aberdeen Street); 312-733-9330.